I am a coauthor of Weird Ohio, so I thoroughly understand the Buckeye State is strange. And that sometimes the mundane does merge with the macabre there. A supposed report of a gunman on the Yellow Springs campus of Antioch College on June 27, 2013, has taken one such twist - especially if put in the context of place. On July 3rd, local officials announced that the lockdown at the college and nature preserve was brought on by an alleged tall tale. The hours-long lockdown June 27 was spurred by a false report of a gunman that had been made by a Glen Helen employee who admitted making the false claim. The initial report was that a man in camouflage had a handgun near the Outdoor Education Center. Greene County Sheriff’s Deputies searched a four-mile radius for several hours but found no gunman. "The employee who reported the alleged threat has been placed on suspension pending further investigation, and College officials are working with the Greene County Sheriff’s Department to understand what, if any, legal action may be taken," the release said. There just seemed something hauntingly harmonic about Glen Helen. Is it in the name? One hundred yards beyond a set of train tracks on Glen Helen Road is a stop sign. Cars on the hill leading up to this stop sign roll uphill instead of down. This is the work of the ghosts of six children who died on the road. Glen Helen, California. One of the Red Bull motorcross stops. In a case of the name "Glen Helen," does it have similar background synchromystic links, from Ohio's Yellow Springs area to California's Glen Helen Raceway in San Bernardino County? Let's go back to Ohio. The adjoining John Bryan State Park is supposed to be haunted by either Hugh Taylor Birch, the guy who left the land for Glen Helen (named for his daughter and site of the "yellow springs"), or John Bryan, who gave the land for the park and maybe Native Americans. Glen Helen is a nature preserve and has some creepy spots. There was a suicide a couple of years ago on the bike path that passes it, but I haven't heard that the suicide haunts. John Bryan segues into the Clifton Gorge area, once voted one of the top 50 scenic spots in America by National Geographic. 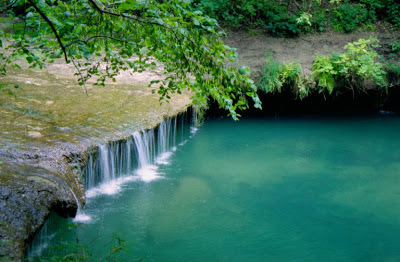 It is a deep limestone chasm and quite picturesque. It has also been the site of several deaths--rock climbers and tourists getting too near the edge of the cliffs. Here's a link about the Yellow Springs and info about Glen Helen. Glen Helen is the legacy of alumnus Hugh Taylor Birch, who, in 1929, donated the wooded glen to Antioch College in memory of his daughter, Helen. With this gift, the College accepted the responsibility of preserving the land in perpetuity. Additional gifts expanded the preserve, which now encompasses 1000 acres, all accessible from a 25-mile network of footpaths. Today, that mission is carried forward by Antioch College through the Glen Helen Ecology Institute, which manages the land and coordinates the educational programs of “The Glen.” On even a short walk, visitors can view spectacular wildflowers, 400 year-old trees, limestone cliffs with waterfalls and overhangs, and the beautiful yellow spring for which the town is named. The Glen is an integral part of the legacy of the College and will be an important resource for the development of its curriculum. For Antiochians, the identity of the College and Glen Helen are inseparable. For nature enthusiasts, the glen is a valuable resource for hiking, birding, and exploration. Imagine, if you will, going back in time 200 years and, on a trip to the Yellow Spring in Glen Helen, meeting one of history’s most distinguished Native American leaders. Tecumseh, leader of the Shawnee nation, would have been 35 years old in 1803 and was believed to frequent the local spring, which the Shawnees thought held healing waters. Other famous chiefs, including Blue Jacket, Blackhoof, Blackfish and Little Turtle, also drank water from the spring, which was located just off the “Bullskin Trace,” a well-used Native American path which extended from Lake Erie to the Ohio River, according to William Galloway’s History of Glen Helen. Many reports have been made, unknown to us then, of the spirits of the Native Americans that are still walking in the Glen, protecting the spring, and meeting at their own favorite spot along the lover's trail. It is considered to be one of the most haunted outdoor locations in the state of Ohio, according to most of the residents in Yellow Springs that believe in such things. Is it only the Shawnee spirits that roam the Glen, though? Is Helen Birch Bartlett the woman that many have reported seeing walking or sitting in the Glen, dressed in period clothing, and fading right before their eyes? Is it her voice that some night visitors to the Glen have claimed to hear calling out from the woods, is it the voice of a Shawnee maiden, or just an auditory trick on us all? Perhaps we will never know...all that we do know is that Glen Helen has been a very special place for at least 200 years and going strong. What other strange things have happened at other "Glen Helen" locations in the faraway places of Glen Helen on the Isle of Man, and Glen Helen in the MacDonnell Ranges, Australia? "William Cain, of Glen Helen (formerly Rhenass), was going home in the evening across the mountains near Brook's Park, when he heard music down below in a glen, and saw there a great glass house like a palace, all lit up. He stopped to listen, and when he had the new tune he went home to practise it on his fiddle; and recently he played the same fairy tune at Miss Sophia Morrison's Manx entertainment in Peel." 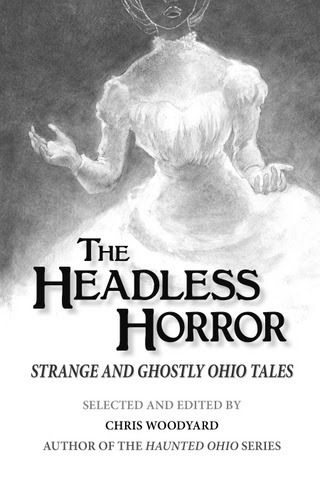 "I am a coauthor of Weird Ohio, so I thoroughly understand...sometimes the mundane does merge with the macabre there." ...much like the strangely beautiful yet somehow ethereal name Glen Helen which could easily be translated as Luminous or Shining Vale. Or even I'd argue Holy/Whole/Heal/Hel/Hell Vale.